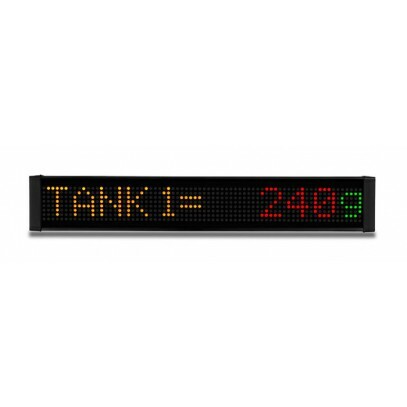 ViewMarq industrial LED message display, 1 line by 12 characters, tri-color, 2 inch maximum character size. Supports red, amber and green characters, embedded string and numeric variables, scrolling (right, left, up and down). Includes (1) RS-232 port, (1) RS-485 port and (1) 10/100 BaseT Ethernet port for configuration and external message control; supports serial ASCII, Modbus RTU, and Modbus TCP protocols. 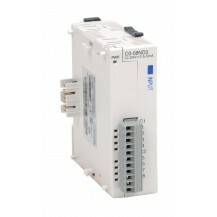 NEMA 4 / NEMA 12 (Indoor only) extruded aluminum housing. UL 508 listed, CE marked. 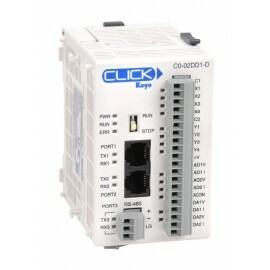 Includes wall mount and chain mount bracket assemblies, cable glands for input wiring and one Ethernet patch cable. 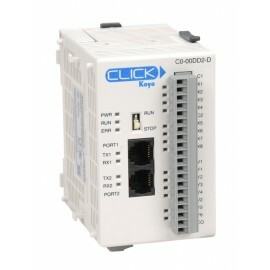 Requires configuration software (MD-PGMSW) which can be purchased on CD or downloaded for free.